Mazda Motor Corp. Chairman Takashi Yamanouchi opened the company's new small-car assembly plant in Mexico yesterday, calling it the company's "most important global strategic base." The factory, which will ramp up to annual capacity of 230,000 vehicles, is a cornerstone of the structural reform plan "upon which the very future of company hinges," Yamanouchi said in remarks prepared for the opening ceremony. Yamanouchi approved the plant in 2011 when he was president of Mazda and was engineering a turnaround after years of red ink. A key pillar of the blueprint was expanding the company's overseas production capacity with new assembly operations such as the Salamanca plant. The company's goal is threefold: Hedge against wild foreign exchange swings that hurt the profitability of Japanese exports; build a low-cost manufacturing base; and tap new markets. The Salamanca plant delivers on all fronts. Its lower labor costs and supplier network initially will make Mazda3 compact cars for the United States that yield fatter profit margins than those made in Japan. It also gives Mazda an export base to Europe and untapped markets in Latin America. "Mazda's Structural Reform Plan, upon which the very future of the company hinges, positions this plant as our most important global strategic base," Yamanouchi said of the factory, which is about three hours northwest of Mexico City in Guanajuato State. The Mexico plant is the carmaker's only North American assembly site. It also marks the first time Mazda has gone solo, without an automotive partner, for an overseas factory since it built a plant in Flat Rock, Mich., almost three decades ago. Ford later joined Mazda as a partner at Flat Rock, but Mazda ceased production there in 2012. On the sidelines of the grand opening today, Yamanouchi told reporters that the markets that Mazda can now access from Mexico's free trade pacts collectively account for around 35 million to 40 million vehicle sales annually. "That's about half the size of total global demand," Yamanouchi said through an interpreter. "So in that sense, the Mexican plant is a significantly important plant for us." The yen's weakening to around 100 yen for every $1 is more sustainable for Mazda, but Yamanouchi cautioned that foreign currency swings can be unpredictable. The plant's role as a hedge against currency swings will help prevent losses if the yen strengthens again, he said. "When the yen becomes stronger, we have the Mexican plant, therefore we will never again go into the lost position. But when the yen gets weaker, we will further cost reduce the Mexican plants so it will contribute to our total profitability," Yamanouchi said. "Our philosophy is that we will strike the balance of business so that we won't go into the very difficult times of the past that we have experienced. Never." Mazda is a 70 percent shareholder in the $770 million Mexico factory, and Japanese trading firm Sumitomo Corp. holds 30 percent. The plant began making Mazda3s on Jan. 6 with 3,000 employees. Annual capacity is initially targeted at 140,000 units, and will hit 230,000 units in the fiscal year that ends March 31, 2016. Yamanouchi said that after the plant reaches full production, about 30 percent of the Mazda vehicles sold in the United States will be sourced from North America, compared with virtually none today. The plant is expected to employ 4,600 people at full capacity and add production of the Mazda2 hatchback and a Mazda2 derivative for Toyota Motor Corp. Mazda plans to allocate 50,000 units for Toyota. Mazda will begin operations at an engine machining plant on the site in October. Mazda brought at least three suppliers from Japan when it built the plant: Suspension-maker Y-Tec Corp., seat maker Aki Seat and DaiykoNishikawa Corp., which makes interior and exterior trim. They occupy a supplier park adjacent to the plant. Vehicle output for the Mexico market will begin in April. 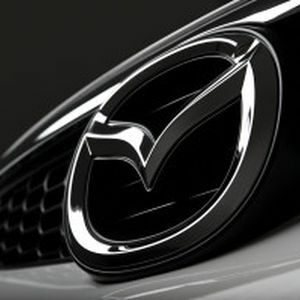 Mazda is a small player in Mexico, with only 3.1 percent of the market last year. Sales totaled 33,354 units in 2013. It aims to boost volume in Mexico 11 percent to 37,000 vehicles this year. To get there, it plans to expand its Mexico dealer network to 54 outlets at the end of 2015, up from 39 at the end of 2013.